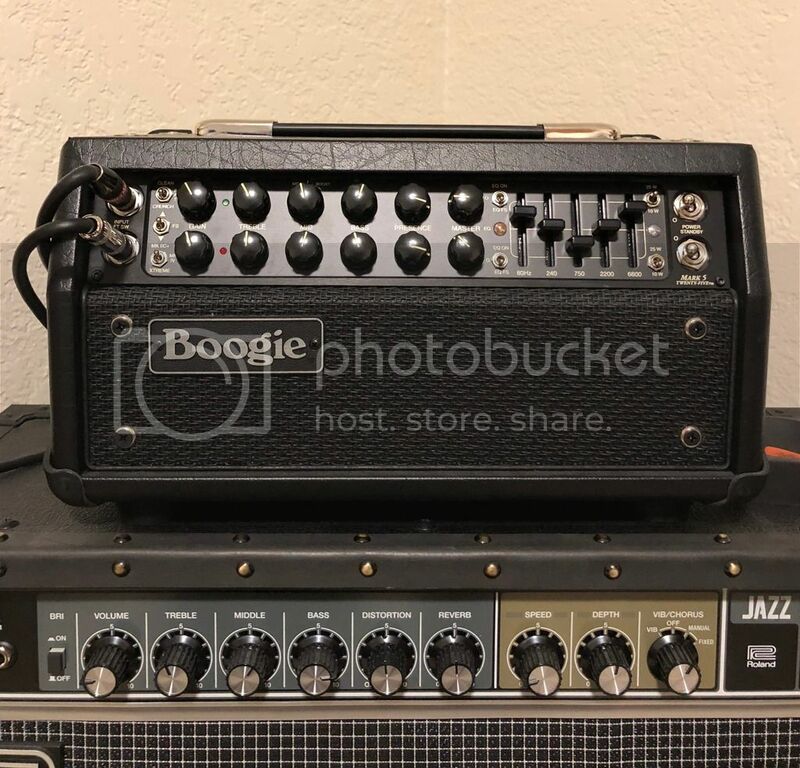 This is a mint condition Mark 5:25 head I purchased brand new last year from Mesa dealer McKenzie River Music in Eugene, OR. It has had some light use in the studio only and comes with cover, footswitch, and all the original documentation and packaging. I want to trade it straight across for a Rectoverb 25 head in equal condition. PM me if interested and we can exchange pics, info, and perhaps make a trade! This is a low hour mint condition head. Any Recto 25 head owners out there?